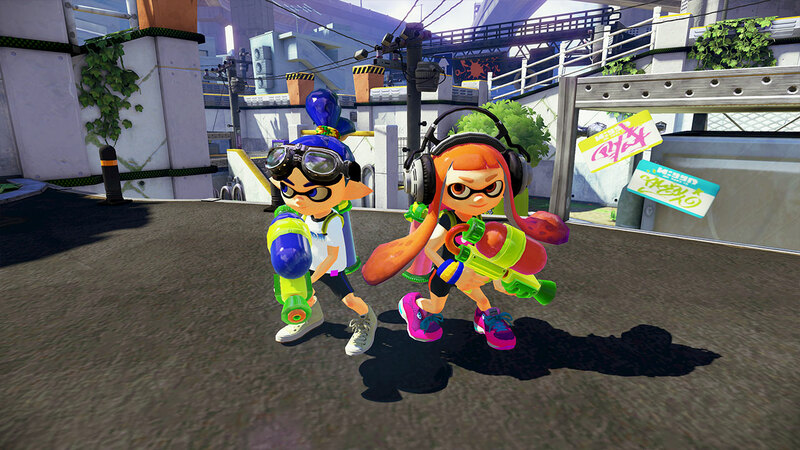 Nintendo has just released some details regarding their some great in-game events for Splatoon, called Splatfest. Replete with rewards and paint splashing fun, these should provide an extra boost to competition. Nintendo is going to have a special 24 hour pre-release Splatoon event on June 21st at 6:00 AM PST. Splatfest is a 24 hour multiplayer event that’s going to take place on June 21st starting at 6:00 AM PST. During this event, you’ll be able to unlock special customization options for their gear. The in-game hosts will be a pair of squid sisters that go by the names of Callie and Marie. Splatfest is also shaping up to be a regular in-game event that happens on a regular basis, adding a bit more competition into the mix. Customization is enabled by using the Super Sea Snail, rewarded by performing actions within the game, that can be re-rolled into special abilities that can be applied to any gear that you have in game. In Splatfest, you’ll get an extra Super Sea Snail for being on the winning team as well as a nice little extra. If you’re really enjoying the game, which is very likely, then you can also get the amiibo Splatoon set that’ll be able to unlock mini-games for you to enjoy. Overall Splatoon is shaping up to be quite the great addition to the Wii U lineup. It’ll add some much needed variety to the usual shooter mechanics. It’s expected to release on May 29th of this year.